After winning praise for renewing Ford Motor Co.’s product lineup in Europe, then globally, Joseph Bakaj now must make the company’s powertrains greener. Bakaj said his latest role takes him back to when he joined Ford in 1985 in the UK to work on powertrains. This time, the challenges are bigger. Tougher fuel economy and CO2 emission regulations in Europe and the United States, and increased consumer demand, are driving the race for cleaner, greener engines. “How to do it is a challenge, but it’s exciting for me. The pace of technological change is faster than ever,” Bakaj said. Bakaj has a brilliant track record. In 2000, he was named Engineer of the Year by a UK magazine for his work as engineering manager for the Ford Mondeo. 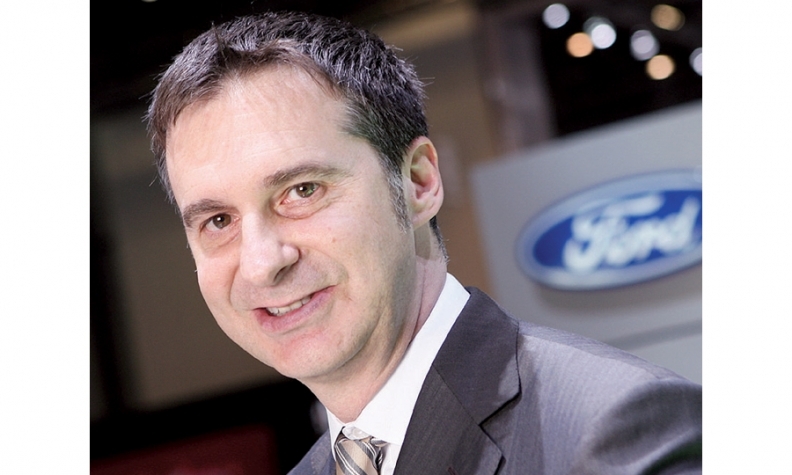 After stints as Ford’s engineering director for North American truck product development and at Mazda, where he was responsible for global product development, Bakaj became Ford of Europe’s head of product development in 2005. His work in renewing Ford’s product lineup with models such as the S-Max minivan, Kuga crossover and Fiesta subcompact earned him a promotion to head of global product programs three years later. An important project on Bakaj’s desk is Ford’s new 1.0-liter, three-cylinder engine for the company’s global small cars. The engine is designed to deliver the performance of a four-cylinder, 1.6-liter unit, but with greater fuel economy. Another key program is an eight-speed automatic transmission that will allow the carmaker to continue its effort to downsize engines, Bakaj said.